SIS Prosegur Cash Services offers comprehensive ATM services through its widespread fleet network in 450 cities across 28 states and union territories.Apart from ATM replenishment, our other value added services for ATMs are: First Level Maintenance (FLM), cash balancing, audit and reconciliation. Our qualified maintenance and service personnel are available around the clock to attend to these services and are constantly supported by our control room with web based software to monitor calls and manage operations within agreed upon timelines. Loading of cash in ATMs with the denominations ordered. Balancing actual cash in the machine at the time of loading with the printed receipt collected at the same time. 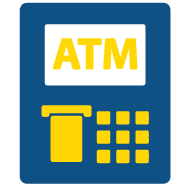 ATM FLM services 7 days a week – Real time FLM call status updates provided to clients through accessibility of SISCO’s web based portal. ATM replenishment and reconciliation service. Cash Processing under closed ciruit TV cameras (CCTV). Vaulting at processing centres and vaults designed in accordance with international standards spread across India. Various support centres at each branch to handle customer queries 24×7 and sharing of reports on daily, weekly and monthly basis. National Operating Centre (NOC) for field support and ensuring a high level of security. SIS Prosegur Cash Services also provides comprehensive and extensive vaulting facilities to its clients. We pick up cash from the currency chests and bring the cash to our vaults in secured cash vans, where we also provide cash sorting and processing.